We are thrilled to wish you all a happy new year. And what a year it has been! You may have noticed, we’ve had a period of radio silence. This is because we’ve restructured completely since the start of 2018. And it's rolling like an avalanche into 2019. Now we’re ready to report for the first time on our restructure, and what we’ve been quietly working on; some of the largest and most impactful projects we’ve ever done. The world surely could use some sustainable boosts. So, much more is to follow in 2019, as our new structure for knowledge sharing kicks in, and engage you this year like new. Yep, we have completely restructured ourselves. Again. Since our founding in 1999, we’ve witnessed the professional development of sustainability work change over time. This led to a major restructure in 2008 to remain at the cutting edge of sustainable innovation, and now, ten years later, we did it again. In 2008 we changed to a structure of a hive-collective of full time independent entrepreneurs. Riding the wave of network-operated companies, this allowed us to be both flexible, efficient, and grow sustainably. Over time, the team learned a great deal about these new business models, the workings of communities, and the way self-managed collectives operate. Now, as sustainability challenges in society rise, and demands for our services grow and change, we needed a new structure. While some aspects of a network organization materialized as beneficial, there were also a lot of down sides, which hindered our efficiency and focus. We needed more flexibility to adapt to changing needs in society and from our clients. And, we wanted to put more depth, commitment, and efficiency in our work, with more dedicated teams. We ate our own medicine that Symbiosis in Development teaches us; to become more resilient, we needed more flexibility, connectivity, and efficiency. As a consequence, in 2017 we’ve started the transition to a new hybrid model of our own design. It is based on dedicated teams of full time experienced staff members, and a flat direct control hierarchy. 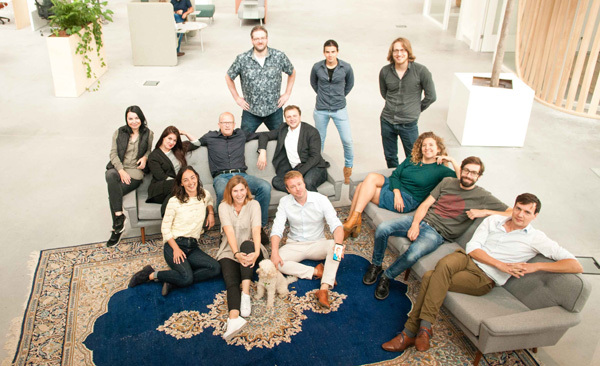 Each team is a multi-disciplinary set of fully dedicated scientists, designers, and business developers. 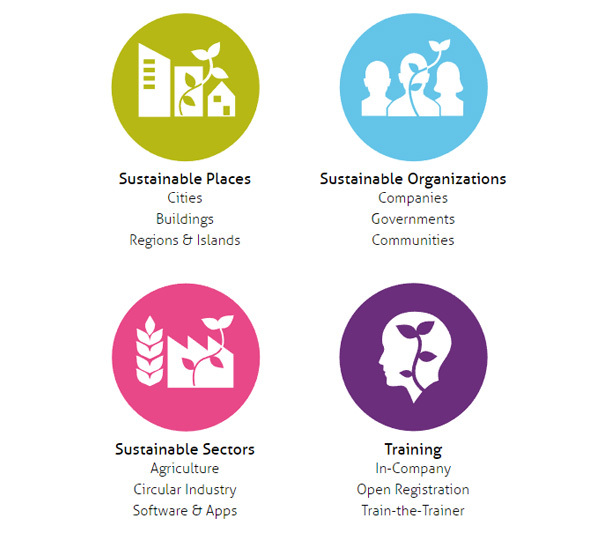 The teams are organized in four core project channels that tackle a part of the sustainability challenge. The teams work in the above four channels, which streamline all the new projects. Each channel has a dedicated program manager, team, and partners. This year, each channel also starts to publish new knowledge and organize events. We've overhauled all our services to fit these channels, and launched a few new ones. Read more about all the channels and new services here. The new Except team has grown to 19 fixed staff members in 2018, heading to our ideal size of 30 in 2019. 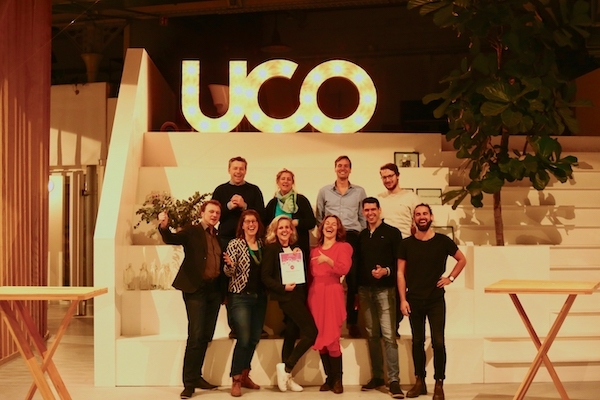 Our team inhabited UCo, the Utrecht Community office for sustainability pioneers we developed. Here, we roam around in the energy neutral, healthy and circular office we built, bathing in natural daylight, together with about 150 sustainability professionals. This year will see the light of the first public programs of UCo's collaboration. This tilt in Except’s structure drives our mission further, which is as clear as ever; to build the foundations of a sustainable society. The new structure already shows its value, with more hitting power and efficiency. In 2018 we worked on some of the largest projects we've ever undertaken, both at home in the Netherlands as well as abroad in the Middle East, and Asia. This all with smaller dedicated teams, and more resource efficiency. This means we lowered cost for our clients significantly, better results in shorter timeframes, while boosting our societal impact. Last but not least, this year we’re starting on a campaign to start sharing our 20 years of knowledge, by organizing seminars and events, and publishing articles on a monthly basis. Except will be unveiling the next generation of sustainable developments – Catalytic Buildings – in early 2019. We will engage in driving the conversation about this new direction for new and existing construction, real-estate development, and smart cities. Catalytic Buildings is an approach we’ve been working on for five years in the background, and are excited to start sharing. Keep your eyes and ears posted for updates relating to this. 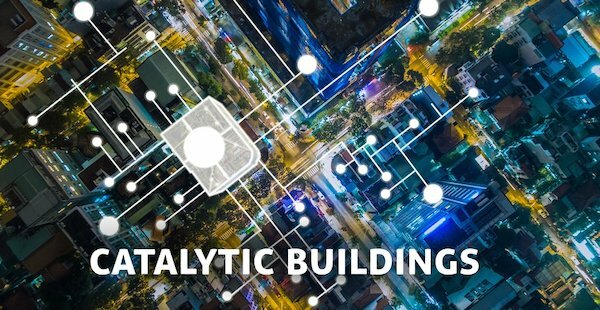 Check out a sneak peek on the fundamentals of Catalytic Buildings here. At the end of 2018, we went live with our concept for a 30 ha greenhouse facility for profitable food production in arid climates. Using technology at the forefront of sustainable development and innovation in ecology and smart food production, Serenity Farms provides healthy, consistent, high-quality fresh produce for 60,000 people, sustainably. Read more about Serenity Farms here. 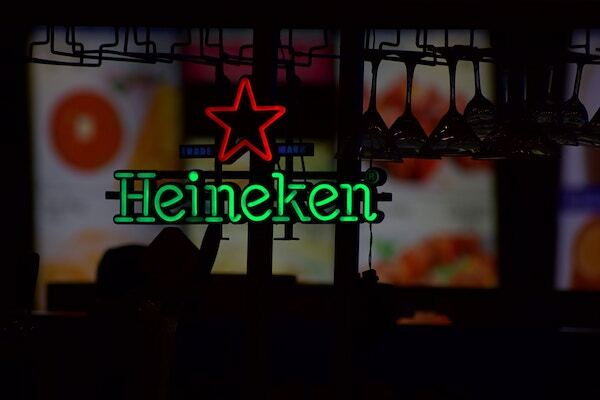 We’ve been working with Heineken in The Netherlands, to aid them in their quest to become circular in their recycling efforts. To minimize their negative impacts, and boost their positive ones. Together, we are developing a roadmap for change and will continue to support them in a number of projects to reach their goals into 2019 and beyond. We’ll bring out some more information about this topic soon. We’ve kicked off our signature Symbiosis in Development (SiD) three-day training program late last year under the guidance of Freek van der Pluijm. Freek is our Facilitator for Organizational Change and has developed a number of new training sessions. Individuals can now have the knowledge to be a catalyst for change within their organization, and in-company teams can be trained with tailor-made trajectories. We’re also running a number of half-day applied SiD Sessions on themes which we consider important to a future sustainable society throughout the year. Follow this link for more information on our signature Symbiosis in Development trainings or to sign up to a session. 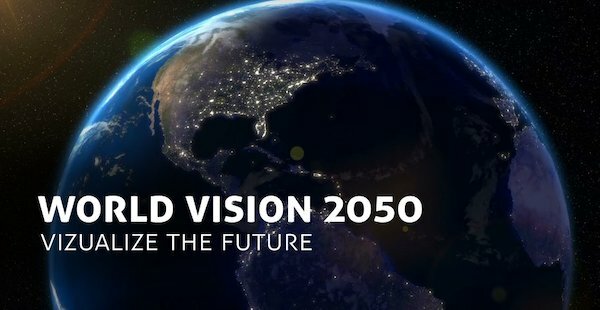 Finally, one of our biggest projects which kicks off in 2019 will be World Vision 2050. With a great many challenges this century, we’ve engaged a number of parties to create a vision which accurately reflects what a sustainable future will look like in 2050. We’re building a concrete, visual perspective by bringing together over 150 experts in sustainability, design, engineering, and policy planning. If you would like to be involved in this process, read more here. We're expanding, and we're hiring! We're searching for about a dozen extra people this year, including experts in sustainable transitions of companies, architects, graphic designers, agriculture experts, programmers, and support staff. Do you know people that would like to work on groundbreaking sustainable developments? Help spread the word. We publish our vacancies on LinkedIn and Indeed, as well as on our own website. That was it for this newsletter. We hope to see you soon in 2019 working on a sustainable future! Tuning in to the Construction Sector's "Music of Tomorrow"
Impakter features Catalytic Buildings; our new approach to sustainable development in the built environment. Our ReGen Villages Oosterwold masterplan design is featured in Fast Company. Our concept for the development of a new World Heritage Center Wadden Sea is one step closer to realization. 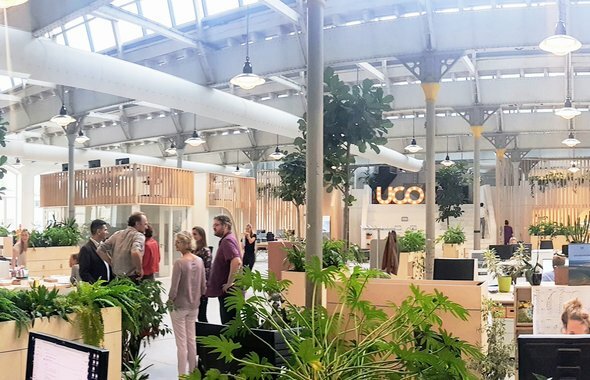 Our Utrecht Community (UCo) project has opened its doors officially, in the most sustainable renovated office monument in Europe.